Charlesworth Walsh black fleecy zip-up jackets embroidered with the school emblem are available for all students. The jackets are warm and cosy, ideal for throwing over in between classes, over uniforms or costumes. These can be ordered new from the Swap Shop via the form obtainable at class. 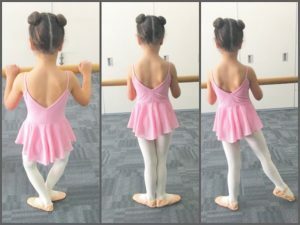 Pale pink leotard, matching skirt, crossover top – can be purchased from Bloch’s, Energetiks, the Mother’s Club, other dance outlets and sometimes at Target or Best & Less. Pink ballet tights – can be purchased from Bloch’s, Energetiks, the Mother’s Club or other dance outlets. Pink ballet shoes with elastic – can be purchased from Bloch’s, Energetiks or other dance outlets. Second hand ballet shoes can be purchased from the Mother’s Club. Hair must be kept neat and off the face (ponytails, hair clips, headbands). Cerise leotard, with matching skirt and crossover top – obtainable at Energetiks or from the Swap Shop. Pink ballet tights – can be purchased from Energetiks, Bloch’s, the Mother’s Club or other dance outlets. Pink ballet shoes with elastic or pink ribbons – can be purchased new from Energetiks, Bloch’s or other dance outlets. Second hand ballet shoes can be purchased from the Mother’s Club. Hair must be kept in bun or if short held back with a headband. Aubergine leotard, with matching skirt and crossover top – obtainable at Energetiks or from the Swap Shop. Navy or black leotard, with matching skirt and crossover top – obtainable at Energetiks or from the Swap Shop. Pointe shoes obtainable from Bloch’s. 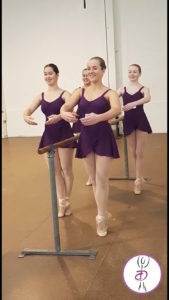 Students must assessed by a podiatrist before beginning pointe. Whatever leotard the student has from other classes is acceptable to wear in class. Beige tap shoes – Second hand from the Swap Shop, new from Energetiks or Bloch’s. Hair neatly in a bun or ponytail, if short held back with a headband. Tan split soled jazz shoes with elastic (not boots) – obtainable second hand from the Swap Shop and new from Energetiks or Bloch. Ballet shoes or sneakers – ballet shoes obtainable second hand from the Swap Shop and new from Energetiks or Bloch. Folder to store class notes in (folder supplied by teacher). The Swap Shop purchases uniforms at wholesale from Energetiks and sells them at a very small profit to cover costs. To purchase via the Swap Shop, the student can get a form from class and fill it out, this will be the be given to Swap Shop who will organise payment and delivery. Costumes for the end of year production and the competitions are hired by the students. The cost, depending on the source, is $15 to $20 per costume. 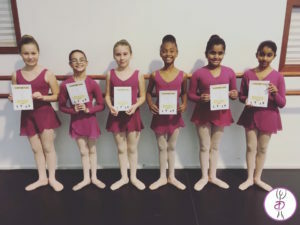 Ballet costumes ie: tutus, classical and romantic, age appropriate. National Character ie: Russian, Swiss, Hungarian etc. Tap ie: modern, stylish suitable for selected theme of the item, age appropriate. Jazz ie: up to date and various styles, age appropriate. Contemporary ie: unitard, skirt, lycra dress, designed to allow full movement. Costumes selected are age appropriate, well fitting and attractive. Students supply their own tights and shoes, and are responsible for their own makeup, hair pins, nets, gel etc. Costumes are property of the Charlesworth Walsh dance centre and are returned after the performance for cleaning and safe storage.